Ghoulardi-raised monster garageabilly for the ages. No one spooks it up like Ohio’s first name in creep-rock, The Cramps. The Texas Chainsaw Massacre. It’s status as a horror classic is indisputable, even if you don’t care for it all that much. Why you wouldn’t is beyond me but I’m sure there are some of you out there. Personally, I love it. It’s subtle in all the right ways, despite it’s rather incongruous reputation as a gorefest. It’s not overbearing, it’s wildly disturbing and suitably intense when it needs to be. As a franchise though, it’s one of the weaker offerings in my opinion. Troubled by lengthy lapses of inactivity, tonal shifts and studio bouncing, it never seems to catch a rhythm; never feels like a true series. All the sequels seem detached from one another, almost like reboots rather than sequels. Some people swear by The Texas Chainsaw Massacre Part 2 and with plenty of good reasons. Savini’s on board with some great FX work. Billy Mosely comes out almost more iconic than the films real draw with an inspired (albeit over the top) turn as Chop Top. Dennis Hopper shows up to bring an added sense of gravitas. The perceived gore of the original is actually on display in this outing. And all in all, it’s a pretty fun, albeit very different, sequel. 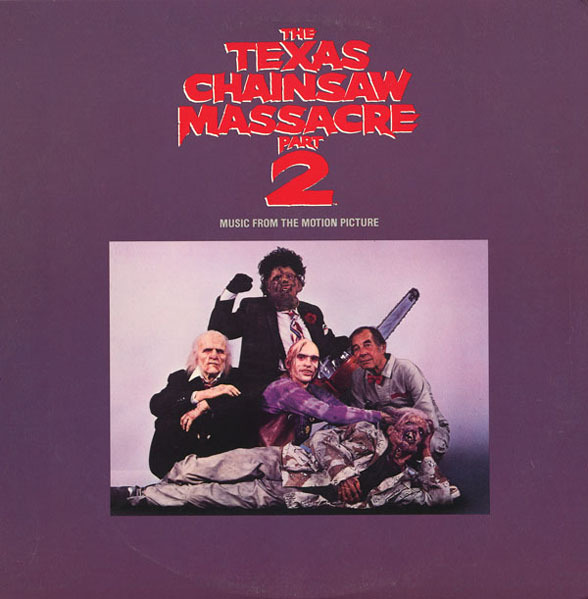 One thing I appreciate most about this Texas 2 though (as is the case most times with The Shindig) is its soundtrack. Featuring some great swings from a couple of Shindig All-Stars that go yard. With the added wraparound of Stretch and the KOKLA radio plot, you got some Shindig gold. Here’s a little double threat of Texas Chainsaw goodness from some of the ‘dig’s finest. Leading off is Shindig Hot Corner The Cramps. We all know The Shindig has a lotta love for The Cramps. Without being overtly horrific they manage to exude the genre subtly with they’re Shock! Theatre and drive-in double feature aura. 80’s horror producers took note and The Cramps found themselves mixed up with all sorts of genre offerings. Here, within the Texas Chainsaw sequel, Stretch from KOKLA Red River Rock ‘N Roll radio has a soft spot for gang too, and we can’t blame her. So what is a Goo Goo Muck? Well, it just sounds like a horny teenage monster or some ilk similar to that of a werewolf or a vampire. Sounds like something Lux might just whip out of thin air. Ah, but interestingly enough, this Cramp’s cut is actually a cover! Originally recorded by Ronnie Cook in 1962, this old rock and roller is perfect fodder for The Cramps’ spooky sound. So, you better duck, when I show up! So what do hot rods, racing, surfing and zombies all have in common? Beats the hell outta me but they all come together in one helluva hammer droppin’, high-rev haulin’, outta sight asphalt eater from Ohio creepsters and Shindig All-Stars The Cramps. 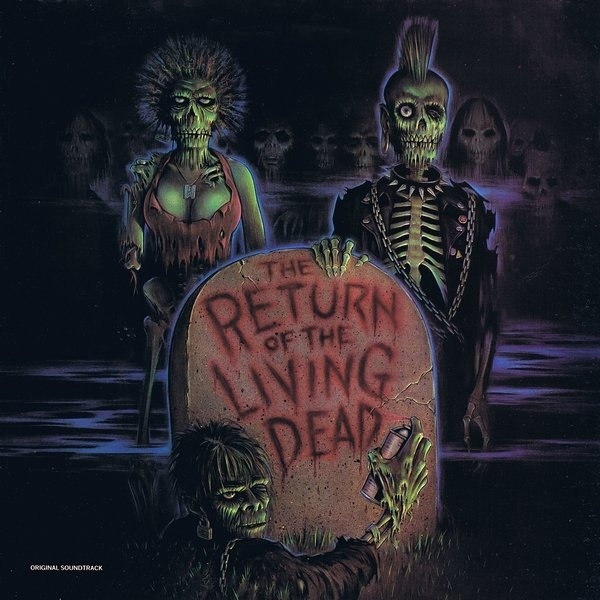 Perhaps their most gracious addition to horror-rockdom, The Surfin’ Dead is prominently featured in Dan O’Bannon’s awesome 80’s zombie send-up The Return of The Living Dead. While no slouch in the soundtrack department, I have to admit this is easily my favorite track off the album, no question. But I love me some Cramps so maybe I’m just a tad bit biased. Or maybe it’s just a great song. Either way, it belongs on a Halloween playlist. Even a short one. And just for good measure, Lux tosses in 2 shout outs to Cleveland’s pride and Cramps hoedad, Ghoulardi.